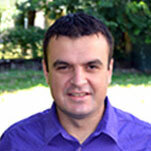 Dragan Trivic is a designer manager and team leader at OGO Sense. So far he has been working on development of 2 android apps. Today, I’m going to talk with Dragan about the Knowles Homeowner app for which he created a completely original design based on current company branding. Sasha Mirkovic is a Junior Developer at OGO Sense. So far he has been working on development of 2 android apps. Today, I’m going to talk with Sasha about the Knowles Homeowner app which he created from scratch with OGO Sense designer and web developer. Before we discuss Android and Joomla integration in more detail, let’s go over a brief overview of each platform separately. Android is the mobile operating system created by Google and is used for powering most of the smartphones in the world. Android is based on the Linux kernel and provides a rich application framework that allows you to build innovative apps and games for mobile devices in a Java language environment. Samsung, HTC, Huawei, LG and many other headset manufacturers use Android OS to run their phones. When most people break their windshield or another window of their car, they don’t usually have strong opinions about who is going to fix it. What they know is that waiting to fix the problem, the crack will tends to grow, making it necessary to replace the entire window or windshield (a more expensive proposition). So typically, repairs like this need to be done quickly and ideally, in a location that is convenient. Are you skeptical about the use of design for growing your business? Often, people think of design simply as making a website look good, but can it improve the way it functions from a business standpoint? Our answer is yes. In one case, we doubled a number of auto-pay sign ups by improving the page design only.